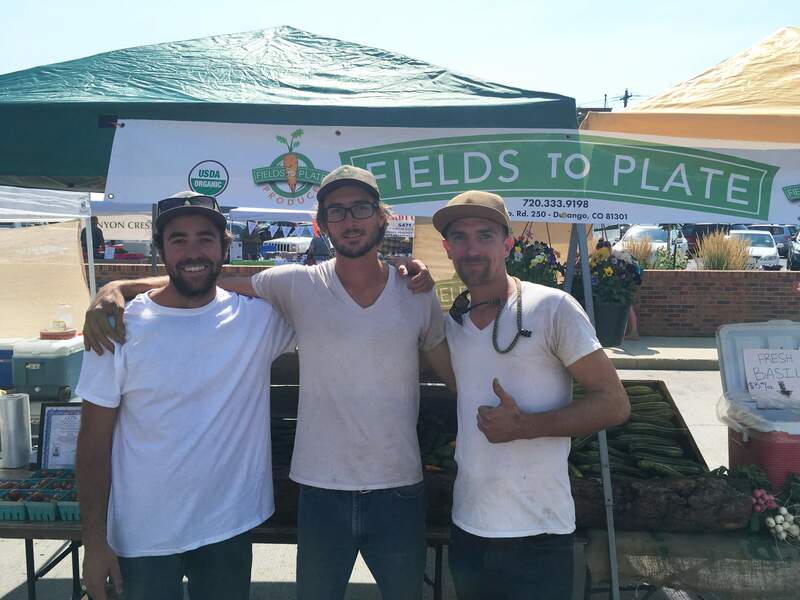 From left, Axel Gerhardstein, Max Fields and James Plate of Field to Plate Produce have doubled the size of their farm every year. Currently at six acres, they hope to one day be able to farm on over 50 acres of land. James Plate graduated with a degree in agriculture from Fort Lewis College, where he learned about how food is produced and how the food gets to market. He observed that a majority of the region’s food supply came from Southern California. Noting Durango’s distance from a major interstate system, and both highways that lead to town featuring a major mountain pass, Plate wanted to become a farming staple in the area. He, along with co-founder Max Fields, founded Fields to Plate Produce in 2013. “We wanted to really make our impact in food security for the Southwest,” Plate said. The farm, named after the co-founders, has doubled in size every year, and currently farms on six acres of land in the Animas Valley. Though the farm has been a vendor at the Durango Farmers Market every year since it’s inception, the farm sells mainly to local restaurants, including El Moro, The Palace and Zia Taqueria. “If you walk down Main, our food is probably in those restaurants,” Plate said. Plate enjoys the Farmers Market because he gets a day off the farm, which allows him to socialize with customers.